The annual ArchitectureBoston Expo is about spreading new ideas and identifying innovative solutions. 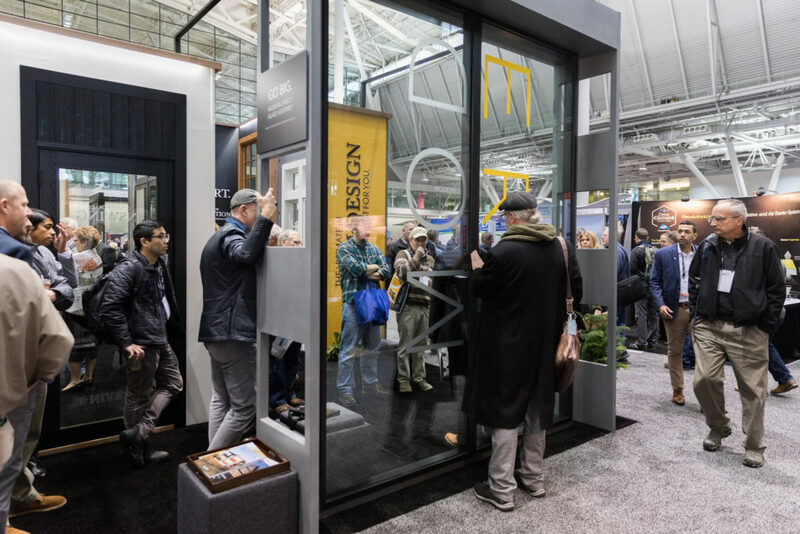 The two-day Boston event attracts industry professionals who are looking to expand their network and learn about new technology, products, and trends. Passersby could stop to see, touch, and try products by Marvin’s Family of Brands: Marvin, Integrity, and Infinity. Steve Hoyt, commercial development manager for A.W. Hastings, works with architects who specialize in commercial projects and he was particularly thrilled about this year’s arrangement. “This here was meant to mimic a storefront,” he says, referencing a vignette of a tradition wooden door framed by windows. The Marvin Commercial Door is built for high use, but the quality door design can be a defining final touch for a small business. The windows that frame the door are Ultrex fiberglass windows made by Infinity, which makes the whole combination attractive, practical, and durable. “With this display in particular, we wanted to pique people’s interests and show them an example of when they could use both Marvin and Infinity products to achieve a polished look while also being low maintenance,” he says. Mark Swift, regional business development manager at A.W. 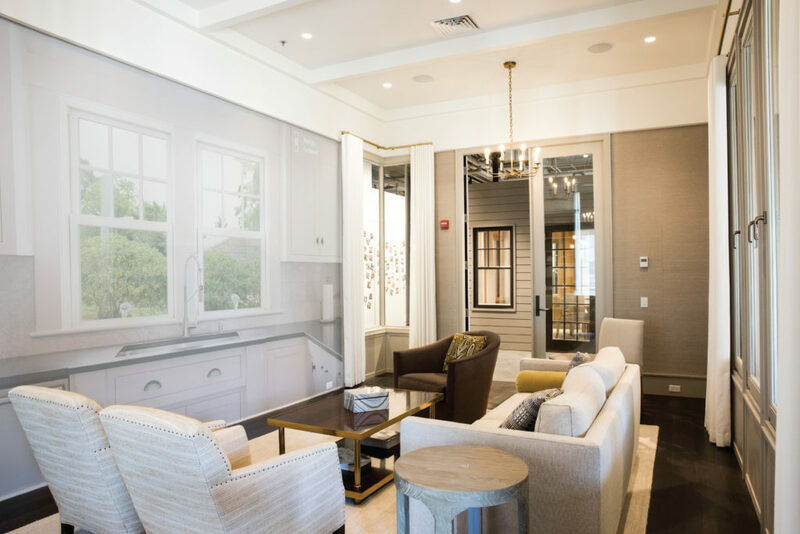 Hastings, stood by the Marvin Ultimate Multi-Slide Door, which while always popular on the West Coast has trickled in as a trend in homes and businesses in the northeast. 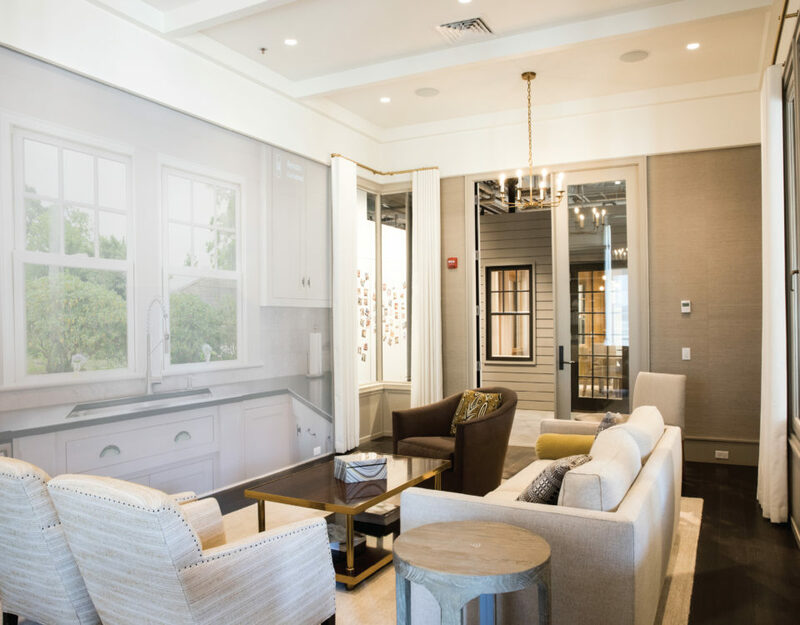 “The sliding doors create more light, more views, and merge the outside with the inside—that’s how people want to live in their homes,” says Swift. Marvin Sliding Doors can be made up to 56 feet wide and 12 feet high and open up a home to the view the homeowners fell in love with in the first place. Of course, with moody weather patterns, New Englanders have to be prepared. “These doors, and all of our windows, can be made to be big and bold, but they have to perform. That’s what Marvin does really well—they can guarantee high performance even in high-impact areas on the coast,” says Swift.